Asturias, the majestic province in the north of Spain, yielded back-to-back victories to Alberto Contador in his bid for a first Vuelta win in 2008. Slaying the twin giants of l’Angliru and Fuentes de Invierno put Contador in the leader’s jersey to stay, and were key in adding his name to the record books as one of just five Triple Crown winners – the only Spanish winner – and one of only three to win both the Giro and the Vuelta in the same season. Since then, Asturias has been the scene of other spectacular stages in the Vuelta a España, like Carlos Barredo’s audacious solo to Lagos de Covadonga in 2010 and the charge of El Bisonte on the Angliru last year. Clearly, the Principality can be relied upon to lend the Vuelta drama worthy of Spain’s hard-won first kingdom, and to demand of cyclists the valor of the medieval king Pelayo. This year, Asturias offers three consecutive summit finishes, including a behemoth making a first-time appearance – Cuitu Negru. 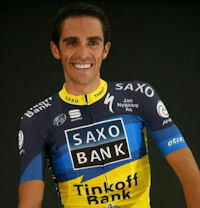 Will Contador try for another title? And, if he made it two in a row on Asturian slopes in 2008, could he make it three in 2012? AS.com | by Juan Gutiérrez | It’s official: Cuitu Negru, a 2.8-kilometer extension of the ski station Valgrande-Pajares with slopes of as much as 25%, will be put into condition to host the finish of the sixteenth stage of the 2012 Vuelta a España on September 3. The queen stage, which also includes the climbs of San Lorenzo and Cobertoria, will thus end on a spectacular high note. The inclusion of Cuitu Negru in the route was dependent upon whether they would be able to undertake the revamping of the road surface, because it is currently a dirt and tarmac path. The improvements will be possible thanks to the combined efforts of the Principality of Asturias, the ski station, and the Vuelta organizers. 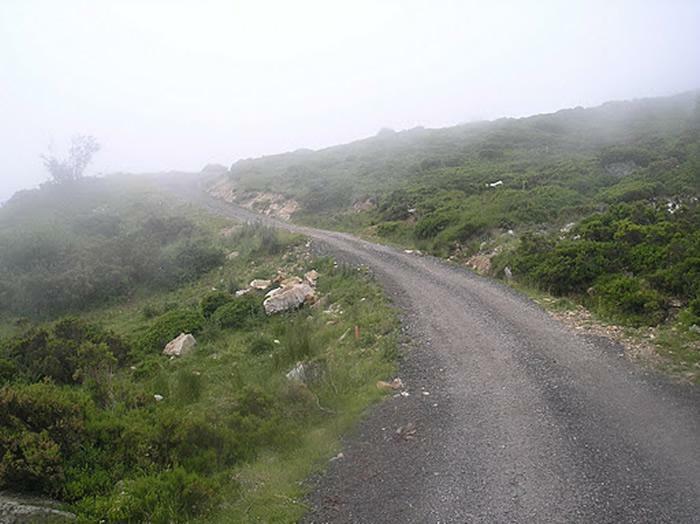 Cuitu Negru, which has already been baptized the Asturian Bola del Mundo, is an extension of the Pajares road, an offshoot from Brañillin with an average gradient of 13.3%. It covers one ramp of 24% and another of 25%, and its final 500-meter section presents an unrelenting average of 17%. Adding the 2.8 kilometers to the climb to Valgrande-Pajares, the total ascent will be 23.5 kilometers at 6.8%. The queen stage will be situated at a key moment of the Vuelta, since there will also be summit finishes on the two previous days: Ancares (Saturday, September 1) and Lagos de Covadonga (Sunday, September 2). The following day will be a rest day. The 2012 Vuelta, which will be presented next Wednesday, January 11, in Pamplona, will have seven summit finishes, two uphill finishes, a team time trial and one individual time trial. Soy Marcelino Fernández Montero (Montero79).